Jennifer Ganser LMT, CYT is a 2009 graduate of the Connectcut Center for Massage Therapy, a licensed massage therapist, and a certified yoga instructor which includes certification in Power Yoga for Sports by Gwen Lawrence. In addition, she has received extensive training with David Palmer in the Touch Pro Method of chair massage. 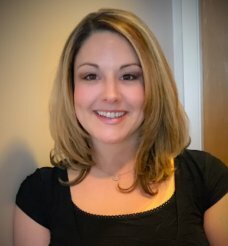 Jennifer’s passion for corrective massage therapy and providing clients with lasting beneficial results led Jennifer to continue her therapy education in Neurosomatic Therapy with the well-regarded Neurosomatic Educators in Clearwater, FL. Their intensive programs provide specialized training in anatomy, physiology, and posturology. As a neurosomatic therapist, Jennifer identifies and corrects postural and gait movement patterns that are frequently overlooked and, if left untreated, often cause injuries and chronic pain. Jennifer also uses her NST skills to treat athletes, which helps to prevent injuries and to enhance their performance and general wellness. Working with equestrian athletes and their horses is a special niche of Jennifer’s. She was trained and certified in the Wilson-Meagher Method by JoAnn Wilson, an internationally recognized equine massage therapist, and she often works with horses and their riders to improve their performance as a team.